Lee Blvd to 93rd Street, Turn East, Second home on South side of street. Leawood is located in Kansas. Leawood, Kansas 66206 has a population of 34,579. The median household income in Leawood, Kansas 66206 is $133,702. The median household income for the surrounding county is $75,017 compared to the national median of $53,482. The median age of people living in Leawood 66206 is 44.2 years. 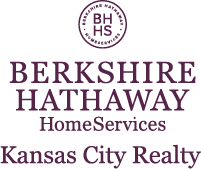 I am interested in 2401 W 93rd Street, Leawood, KS 66206.